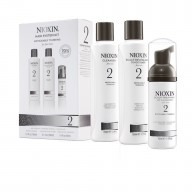 Achieve noticeably smoother and denser-looking hair with the innovative Nioxin 3-part System 6 for Chemically Treated Hair with Progressed Thinning. This 3-part set of professional products provides a hair thickening treatment for hair with progressed thinning and helps cleanse, optimize and treat the hair and scalp. 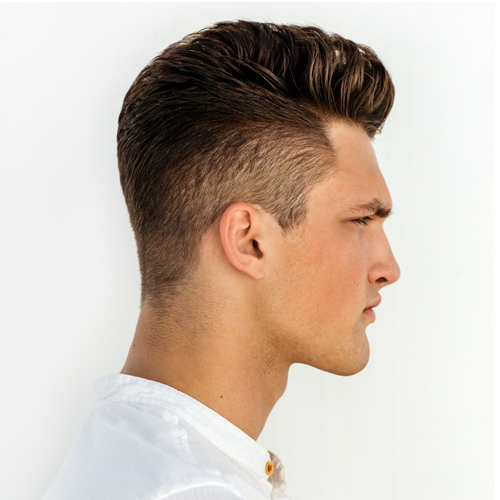 Nioxin’s 3-part System 6 with SmoothPlex technology reduces hair loss due to breakage and strengthens resilience against cuticle damage, leaving hair smoother and thicker, fuller-looking with vibrant color. This complete moisturizing 3-part System helps protect the scalp and provides a refreshed scalp environment. 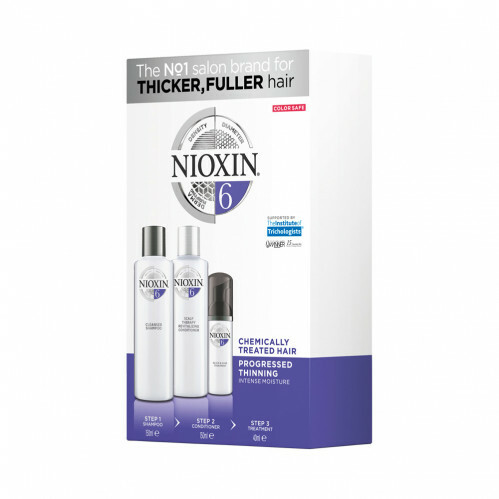 Nioxin Cleanser Shampoo 6 150ml: removes sebum and environmental residues from the scalp and hair. Nioxin Scalp Therapy Revitalizing Conditioner 6 150ml: a lightweight conditioner that helps provide hair resilience and control moisture balance. 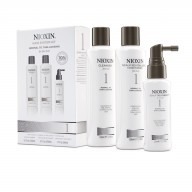 Nioxin Scalp & Hair Treatment 6 40ml: provides a refreshed scalp environment. Cleanser: Gently massage into hair and scalp. Rinse well. Scalp Therapy Revitalizing Conditioner: Apply from scalp to ends. Leave-in for 1 to 3 minutes. Rinse.